Canadian rapper and songwriter, Drake surprises his dad with a nice gift for Father’s Day and it’s a car. The 32-year old rapper is known to have a very close relationship with his father, although he’s admitted it hasn’t always been this way. On Father’s day, the multi-award winner, Drake surprised his dad with a gift of a brand new Bentley. The car is worth N54million ($150K). According to report, Drake’s dad was at home on Sunday before he got a call about a gift being outside of his place. Initially, he reportedly thought it was some delivery package until he oped the door and saw a brand new Bentley sitting outside. The guy who delivered the car says Graham FaceTimed Drake immediately after receiving the gift. 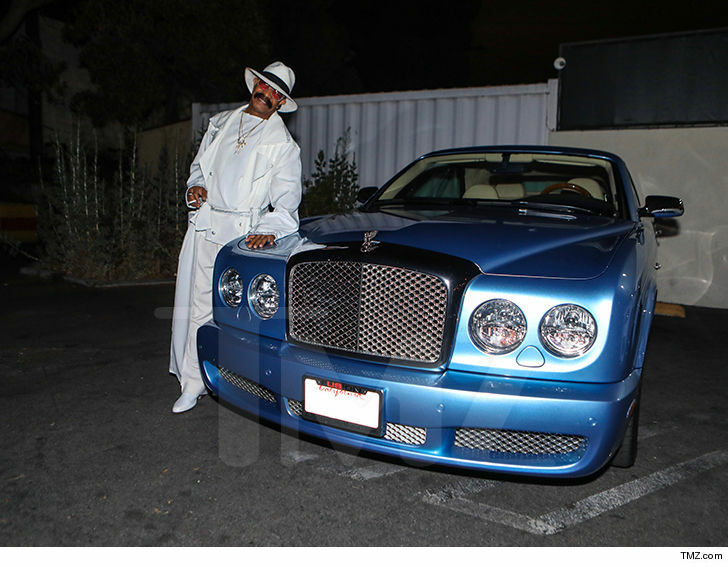 Drake’s father, Dennis Graham shared a photo of his new car on Instagram wit a loving caption to his son.